Denham Springs --The retirement of Livingston Parish Schools Superintendent Rick Wentzel has launched a superintendent search. 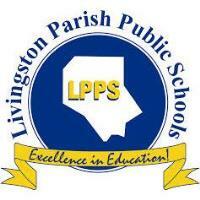 School Board President Buddy Mincey will update community members at the Livingston Parish Chamber of Commerce’s Education in Livingston Parish Lunch on April 10th. Northshore Technical Community College’s Acting Chancellor for the Livingston Parish Campus, Dr. Daniel Roberts, will also be at the Education lunch to highlight the new campus in Livingston Parish and the programs they will offer this fall. Students from seven Livingston Parish High Schools, Albany, Denham Springs, French Settlement, Holden, Maurepas, Springfield and Walker, will be honored at the Education lunch as the recipients of Chamber of Commerce Scholarships. A previous Livingston Parish Chamber scholarship recipient and entrepreneur, Daniel Wendt, will be at the Education lunch to inspire the students and attendees with his personal journey to success. Registration for the Education in Livingston Parish Lunch is available on the Chamber website at www.livingstonparishchamber.org. About the Chamber: The Livingston Parish Chamber of Commerce is the largest and longest standing business organization in Livingston Parish. We represent the business community and coordinate community initiatives and programs which make Livingston Parish better. The chamber is 501C6 nonprofit association serving Livingston Parish and each of its municipalities and communities.